See more objects with the tag container, collapsible, science, tool, rectangular, folded, health-care, organization, flat, medical, toolbox, observation, surgical, examination. See more objects with the color saddlebrown sienna tan maroon grey or see all the colors for this object. 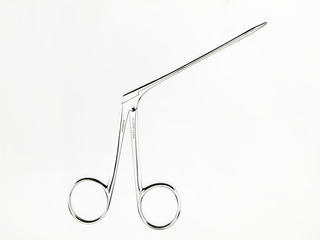 This is a Lithotomy surgical set. This object is not part of the Cooper Hewitt's permanent collection. It was able to spend time at the museum on loan from National Museum of American History	as part of Tools: Extending Our Reach. It is dated 1833–42. Its medium is case: mahogany, brass, chamois; instruments: steel, ebony. 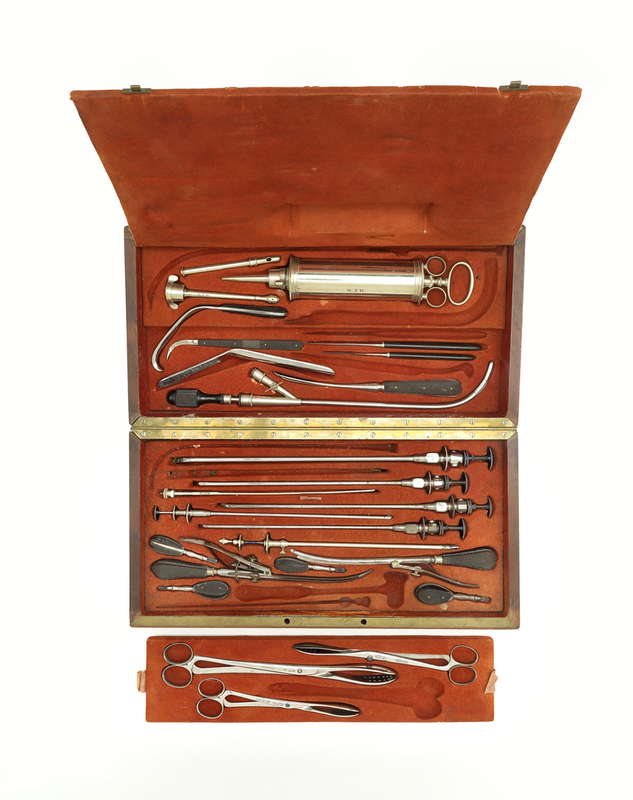 This lithotomy set is an early example of a collection of instruments made for a specific surgical specialty—in this case, the removal of stones from the kidney or bladder. 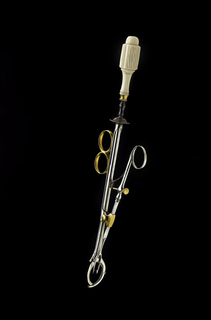 The twenty-six instruments, used for cutting, grasping, or crushing stones, as well as irrigating the bladder, are housed in a brass-trimmed mahogany case lined with red chamois. The instruments made by Joseph-Frédéric-Benoît Charrière were status symbols, extraordinarily precise and far more elegant than anything produced by his American counterparts. 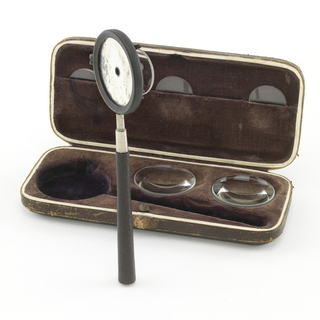 This set is one of three Charrière surgical sets owned by William Thomas Wilson, a wealthy Baltimore physician. 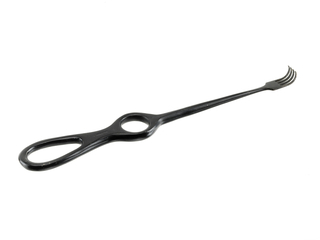 It is not known whether Wilson procured these surgical tools in Europe or in the United States through a surgical instrument maker or an apothecary acting as an agent for Charriére. What is clear, however, is Wilson’s pride in his profession and in the tools of his trade, each stamped with his initials. It is credited Smithsonian Institution, National Museum of American History, 302606.773. 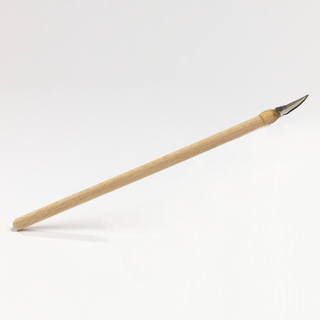 This object was previously on display as a part of the exhibition	Tools: Extending Our Reach. This object may be subject to Copyright, loan conditions or other restrictions.